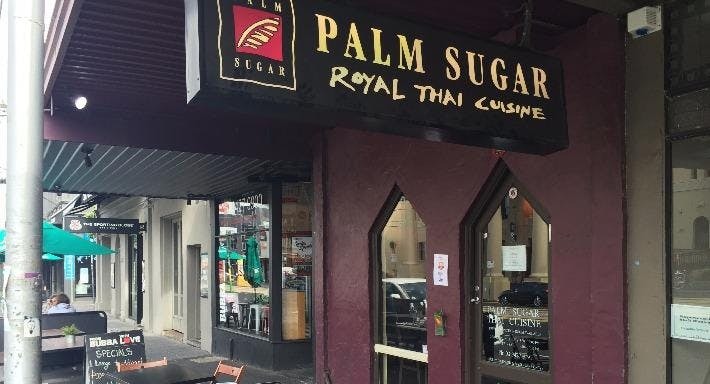 This is my favorite thai restaurant out of all of Melbourne. 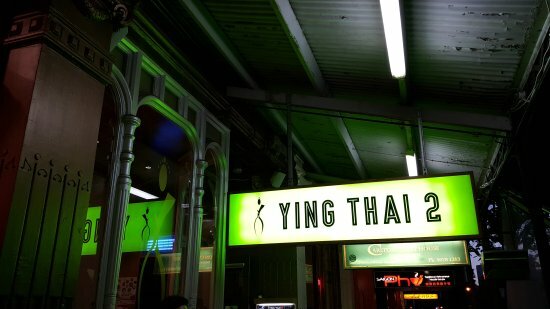 Located on Lygon Street just to the North of the city close to the University of Melbourne, you can always spot Ying Thai 2 because it is the most popular of a host of restaurants in the same area and it has one of the brightest interiors full of lime green, pink, and turquoise. The atmosphere and vibe wasn't really good when the place was fully occupied - it was little bit cramped and noisy. The green curry with duck had reasonable flavour but it could have done with a little more duck. If this location is far check out their location in Palm Bay. I highly recommend the fish cake with lemongrass, beef with basil, green curry, spicy fried whole fish my absolute favourite and the tom yum soup very spicy. Prefer a larger portioned dish? Unfortunately after I went there, I always had swelling gum shortly after dining there this has happened twice, possibly due to their rusty tap. Price quoted for the detailed unique design wasabit out of my budget, however the msu. You might think this is your lucky night but if you park there, expect your car to be covered in bird poo and I mean bombed-in-a-Hiroshima-kind-of-way. Lately, some of the world's most famous chefs have been setting up in Melbourne off the back of its foodie reputation, including Heston Blumenthal. A+ There are a lot of different Thai places competing to be my favourite and right now Ying Thai 2 on Lygon Street is top dog for flavor, price, value and atmosphere. If you can't stand the spice, maybe let the waiters know when you order ; It had been a long time since I had graced Lygon Street with my presence okay, not that long ago, but I don't come down here as often as I like since there are so many other cool places to visit in Melbourne that one day after work I decided that I would go and grab something to eat. The pad Thai was good but I'd had better in Asia. Note: please bear in mind to book a table on the weekend if you don't want to wait. 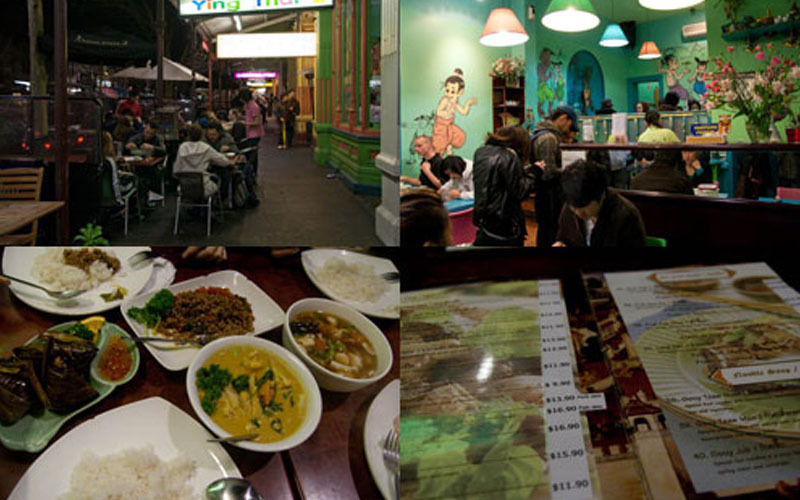 All in all, Ying Thai 2 is a great place to eat, especially around Lygon Street. The funny thing was that I was wanting so Thai - not exactly the cruisine that you visit Lygon Street for. I tried several dishes with friends. While I'm quite good a handling chili, I admit some of the salads are so spicy they make my eyes water until my mascara runs. Then I get to the restaurant, and we wait for the sushi orders for an additional 30 to 45 minutes. The flesh was tender and juicy and tasty and perfectly-cooked without being dry. Their recipe for success is simple: Affordable, authentic, fresh and delicious food, cooked to order and served promptly. 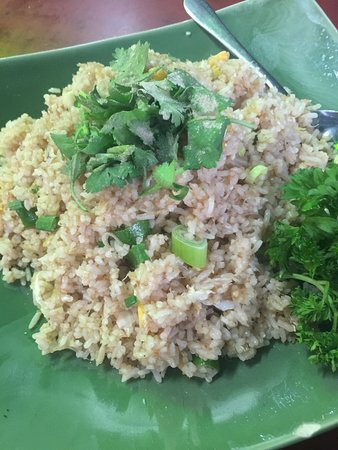 It's one of those cuisines that I never get sick of because of the different dimensions of taste and the rich use of herbs and spices. The chicken in pandan leaves and curries were the more average dishes. A wealth of influences from across the globe together with a population who have the means and inclination to pay for high quality food, has resulted in a deluge of quality cuisine. The actual venue itself utilises bright greens, blues, and pinks and screams tacky restaurant. The chili padis were thinly sliced and added such a kick to it. One year since the incident, and I still have not received any single call from Ying Thai explaining why there was a broken glass in their restaurant. Love that Tom yum soup! Although really delicious, I didn't realise the serving was for multiple people, and it was way hotter than I could handle. Parents, bring your kids along to this restaurant, where you'll find a family-friendly menu and ambience. What this little restaurant lacks in decor, it more than makes up with its authentically delicious Thai food. The taste of oyster sauce was just right, it wasn't overpower. 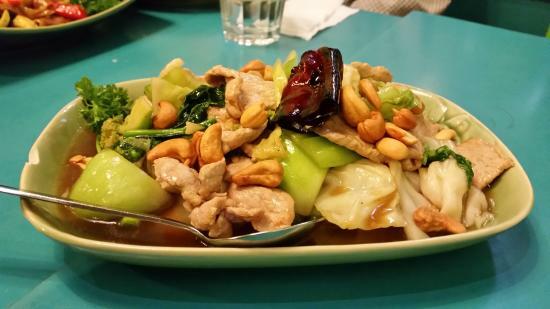 Their menu is pretty extensive with a large number of dishes you'd expect and perhaps a few less common dishes. But this was on fire!! I am such a sucker for super spicy food, like chili-padi type of spicy. On the Bellarine peninsula to the southwest of Melbourne, you'll find a tranquil retreat from city life, one that's less known by tourists. Luckily, the décor isn't a reflection of the food. Many take the Mount Dandenong Tourist Road, a meandering path past woodland, old houses in well-preserved villages and breath-taking views; you'll also find craft workshops and quirky cafes along the way. Everyone loved the duck pud grapow. I have been coming to this restaurant for the past ten years. The service has always been good from my experiences. Greek immigrants have had a particularly significant impact — Melbourne is fondly referred to as Greece's third city after Athens and Thessaloniki. 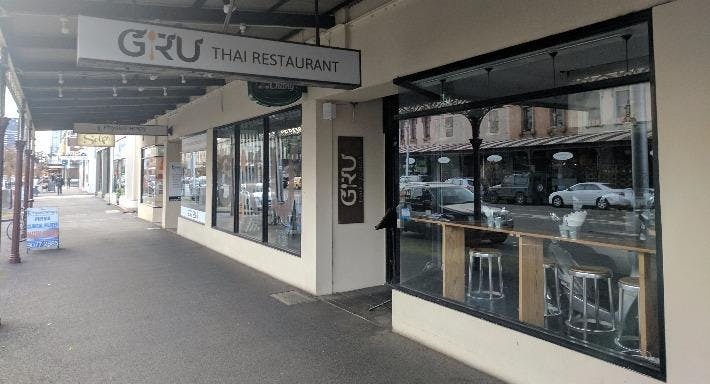 Anyway, despite not expecting to find any Thai restaurants down here I pretty quickly came across this place, so I decided to go and check it out. On the other hand, Ying Thai 2 is still operating and has been through couple of renovations from the traditional Thai interior design to the modern interior design with the bigger, bright, clean and chic looking place. Not a pretty sight, believe me! On our last visit, I went there together with my family, was given a table and the moment I wanted to sit I felt sharp prick on my right foot! We'll let you park onsite to help get you closer to our scrumptious menu. My flu didn't stop me. 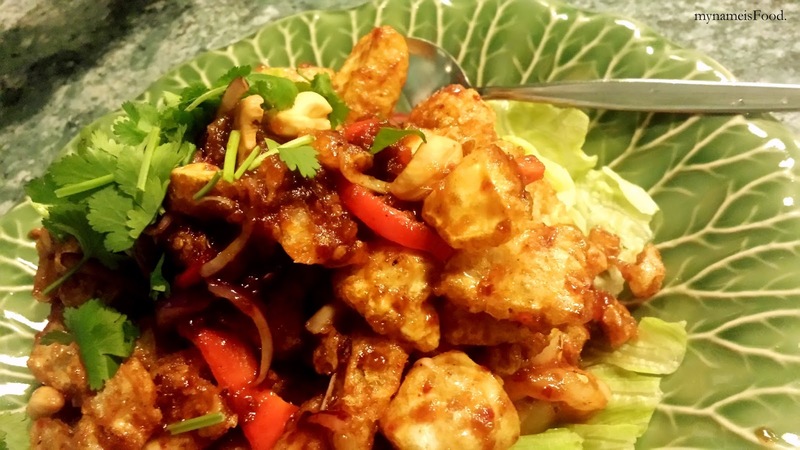 Most dishes are prepared in smaller portions so that you can choose from a number of different styles to truly experience the exotic flavours of Thai Street Food. The chicken didn't taste remarkable or any different from roasted chicken. Great date night spot, when you're not in a rush, but definitely not the choice for a quick bite to feed your family on a busy night. But I wish the taste had more depth and more of a seafood taste.